It's pretty clear these two dads have been listening to Little Mix at home for quite some time! 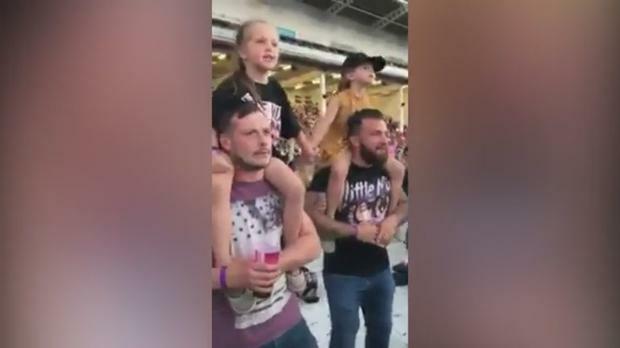 They were spotted in the crowd at a Little Mix concert singing along to the band's hit 'Touch' with their daughters Isla and Isabelle on their shoulders. The best pals held hand throughout as their dads - wearing Little Mix t-shirts - bopped about. However, while you might think the girls got their dads, best friends Neil and Joe, into Little Mix, it was the other way around. The guys have been fans of the band since their X Factor days and, through playing their music in the car, they got their six year old daughters into them too.